Have a read through this month’s best Easter Activities that London has to offer for the whole family to enjoy! Experience the outdoor adventures that Fenton House has to offer this Easter. With a joint partnership with Cadbury’s chocolate delights you are in for a treat. Follow the trail and see what adventures lie ahead. The winner of the trail, and the one with the most chocolate eggs, will accept a tasty prize at the end. If you’re struggling with ideas on how to spend Easter with your family, then struggle no longer. The Horniman Easter Fair is the perfect event to please every member of your family. For the kids there is the Easter egg trail to delve into some tasty wonders. For Mum and Dad there are plenty of stalls and shops to find little nick-knacks and there are even creative workshops and painting activities to encourage the whole family to participate and spend quality time together. Let your child explore their creative skills this Easter with the Biscuiteers hour-long lessons. Make, bake and create your own individual biscuit designs with an Easter themed look for all of your friends and family to enjoy on Easter day. Show off your icing skills and even leave the lesson with a certificate and their very own Biscuiteers apron. Witness a whole new world this Easter with the award-winning Aladdin musical showing at the Prince Edward Theatre. Easter is the perfect time to explore this musical and all its beauty before the release of the highly anticipated film this May. Fully immerse yourself in the spectacular dancing, the amazing sequinned and glamorous costumes and of course the well-known and celebrated musical numbers such as “Friend like me” and “Prince Ali”. Fall down the rabbit hole this Easter and enjoy a fun-themed afternoon tea from the much-loved book “Alice in Wonderland”. This Afternoon tea is jam packed with some of the most crazy, funny and loved characters on the screen and written in the classic novel by Lewis Carroll. Have some much needed family time and celebrate Easter with a range of sweet treats that will definitely take your fancy. If you’ve always wanted to venture into the life of a Zoo keeper and really understand what it takes then the ZSL London Zoo ‘Mini Keepers’ experience is the one for you. They allow their new recruits to take over their daily check lists and go behind the scenes to experience a day in the life of an expert animal carer. So get suited up and prepare yourself for a busy day, and no-monkey business! Celebrate this Easter with a more personalised touch…..
Why not let The Organisers help you create your own personalised Easter egg Hunt and party this half term for all for your family and friends to enjoy. 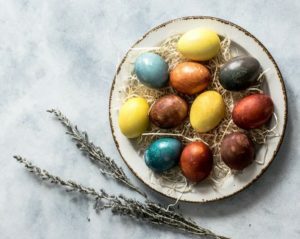 With a fully catered event created by some of our best and well known chefs, as well as band and entertainment for the children, you are bound to celebrate Easter in style with the ones you hold dearest.